Members of the Italian mafia like to travel abroad – not necessarily for pleasure, but to make money. And the harm they are doing to European economies is often underplayed, trivialised or ignored. They consider the UK to be an attractive destination because it is relatively easy to set up a company, and its legal system does not recognise “mafia membership” as a crime. Officials are fighting back with some success, however. 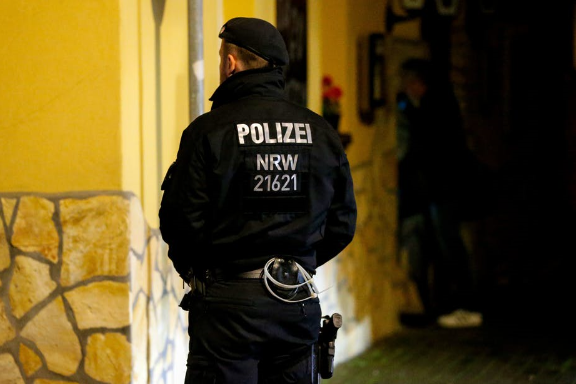 In December 2018, hundreds of Dutch, German, Belgian and Italian police officers arrested dozens of members of the powerful Calabrian mafia, the ‘Ndrangheta, on suspicion of drug trafficking and money laundering activities across Europe. They also seized large amounts of drugs and cash from locations including Italian restaurants and ice cream parlours. In 1991, British police based in Rome warned of the presence of Italian mafias in the UK. Two years later, the French parliament reported on the fight against the mafia’s attempt to penetrate France. Similar warnings were being made in the Netherlands. But it wasn’t until 2012 that the European Parliament really addressed the situation. The following year, Europol (the European Union Agency for Law Enforcement Cooperation) finally published an “Italian Organised Crime Threat Assessment”. It attempted to fill the “important information gap” which exists around the activities of Italian mafias in Europe. As Europol itself noted, the “difficulty in collecting information” highlights the fact that mafias operate “under the radar” outside Italy. Ultimately, there is a lack of understanding across Europe about what mafia membership crime looks like – which can be difficult if you have not witnessed first hand the power of a mafia, and how it imposes itself on society, economics and politics. We also need to address the lack of political will to tackle organised crime and mafia activities. European politicians engage and seek to defeat terrorism but as far as Italian mafias and organised crime go – and their ability to infiltrate legal economies and launder their proceeds of crime, made more often than not, from drug trafficking – there is no consistent political will to defeat them.